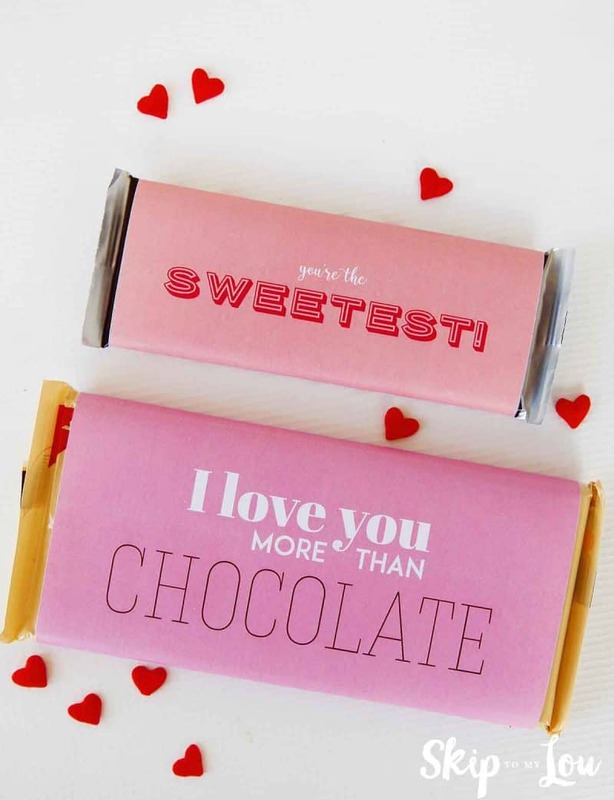 A printable Valentine candy bar wrapper can turn the average grocery store candy bar into something special! 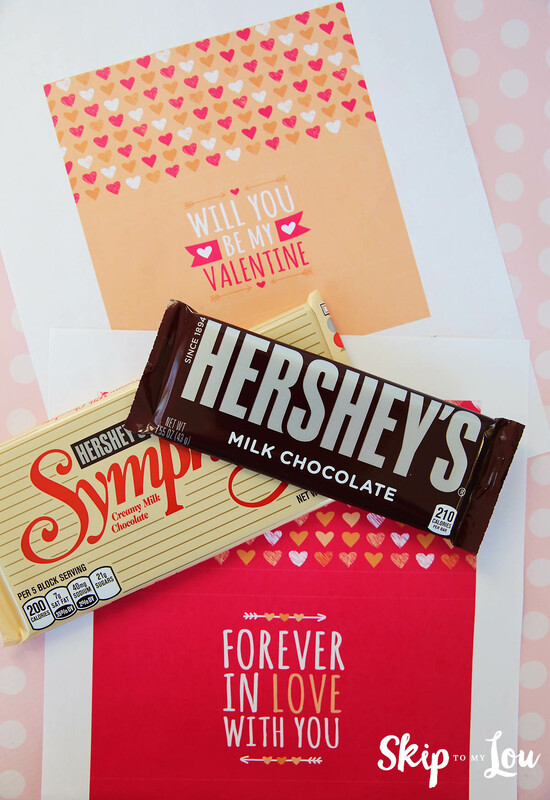 Pick up a few candy bars and let someone know how much you love them! 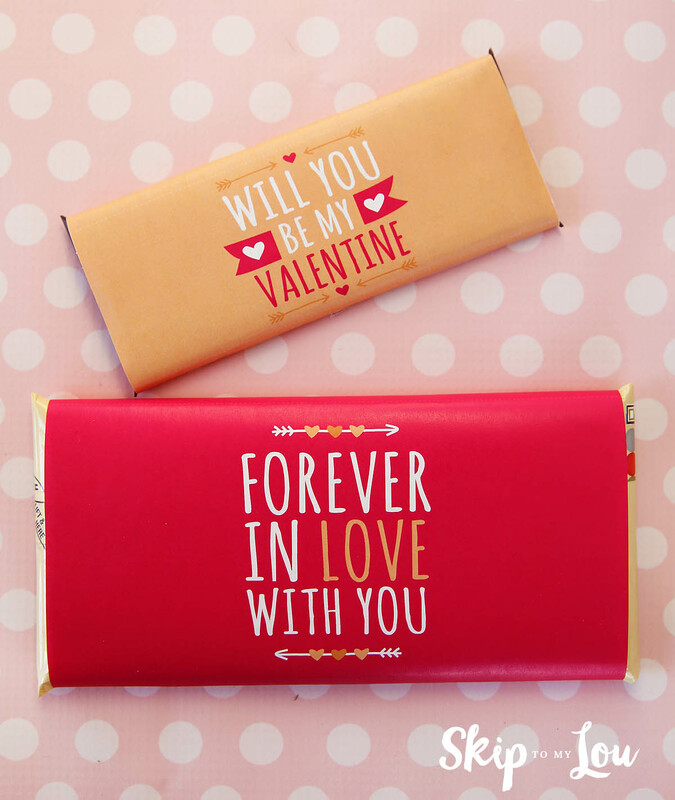 If you are looking for a Valentine Candy Bar wrapper for a teacher gift this one prints out so cute. These candy bar covers are for regular sized candy bar and also for the large size. 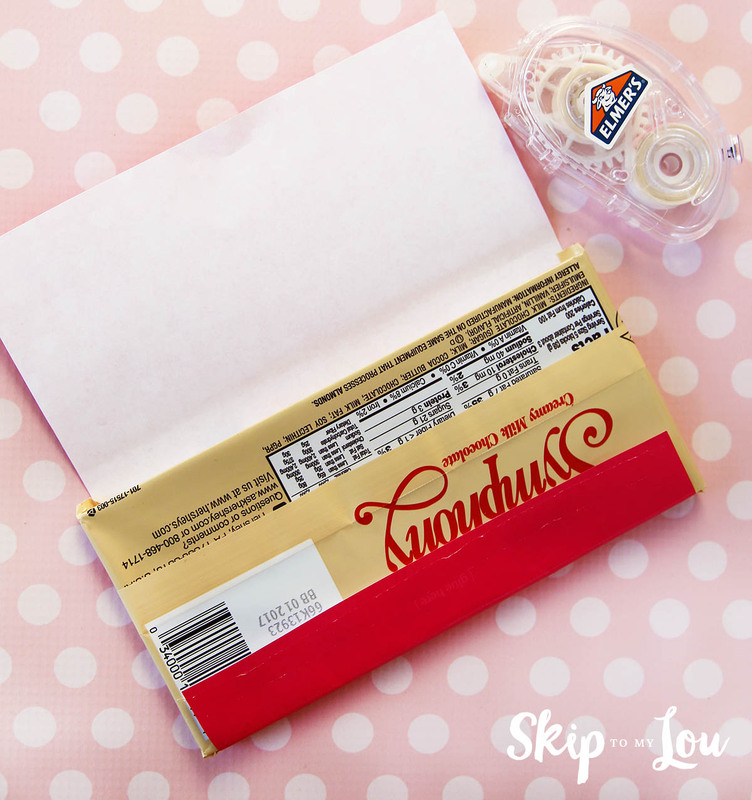 Download the free printable candy bar wrappers. Print in color on regular white copy paper. Wrap the cover around the candy bar. A tape roller works great to fasten the wrapper. 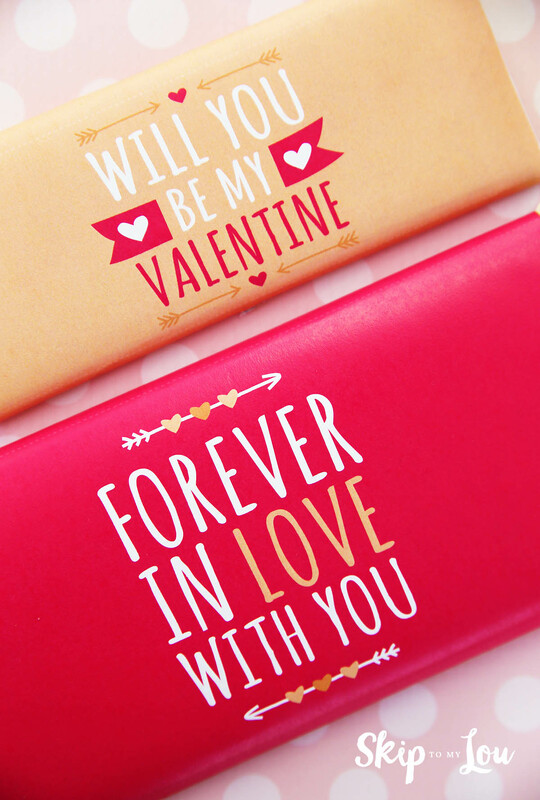 For another cute idea check out these Valentines Candy Bar Wrappers by my friend Kim. 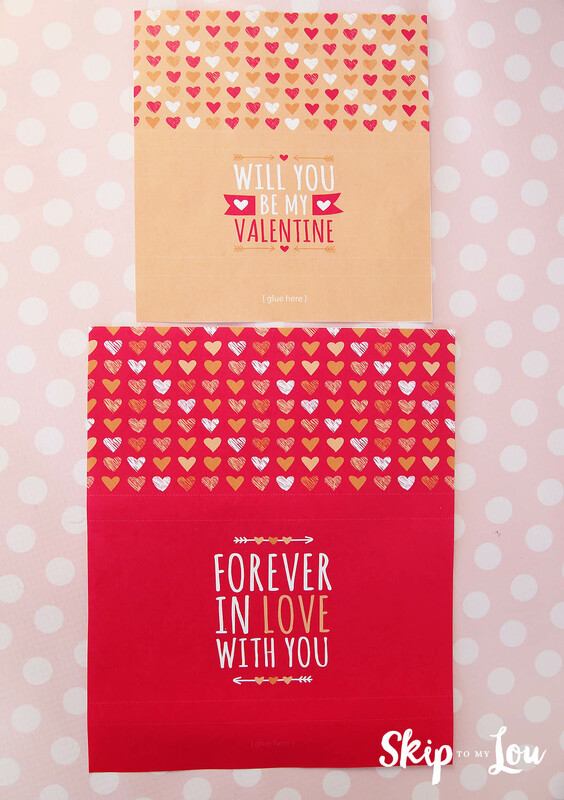 For more Valentine ideas try these free printable star wars valentines.